Sugarcane is one of the heaviest users of water and lysimeter studies have provided an empirical yield/water use relationship which roughly equates to 10 mm of water (crop evapo-transpiration) producing a yield of 1.0 tc/ha. 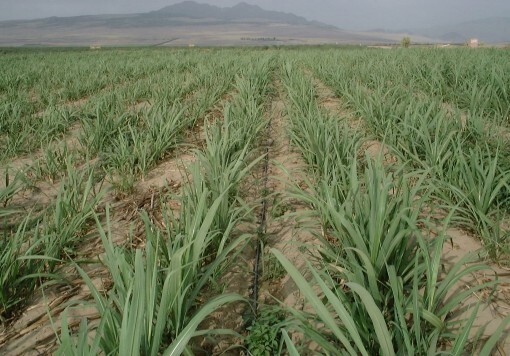 In most environments sugarcane will demand some 1 500 mm crop water per year and this is received either as rainfall or applied as irrigation, or a combination of both. Rainfed cane is at the mercy of weather patterns and annual cane yield will always be variable and directly linked to rainfall. Irrigation can level out this variability and provide a consistent cane yield and longer ratoon life since the plant never suffers moisture stress. Irrigated cane yields should reach a consistent 100 tc/ha and will often be much higher. Historically, sugarcane was always rainfed and was only grown in sub-tropical climates with plentiful and frequent rain. As demand for sugar has grown and suitable land has become more scarce, then cane growing has moved into semi-arid and arid regions where the benefits of irrigation, coupled with longer sunshine hours, has provided more efficient production and greater cane tonnages on less land area. Good practice must be followed with irrigated sugarcane because poorly investigated and designed systems could lead to high water tables and salinisation of the soil. Drainage and irrigation go hand-in-hand, and integrated designs are necessary to prevent long term problems. 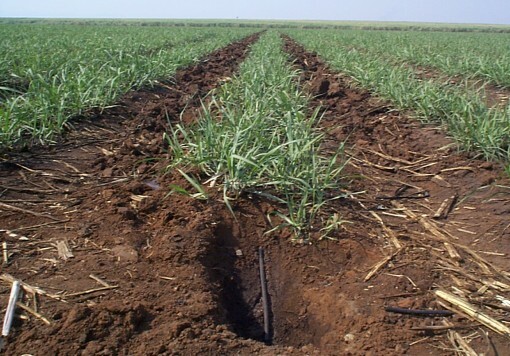 Sugarcane is a row crop and can be grown under virtually any irrigation system with the most common being surface furrow irrigation, sprinklers on a grid pattern, travelling rainguns, centre pivot irrigators and drip systems. The choice of irrigation system is always site specific and should only be made after careful analysis of topography, soils, water source, water quality, power availability/cost, crop water requirement and irrigator labour availability/cost. This analysis must also take into account both capital and operating costs and often a comparison of different systems is needed to make an optimum choice. Some larger schemes may require a combination of different irrigation systems. 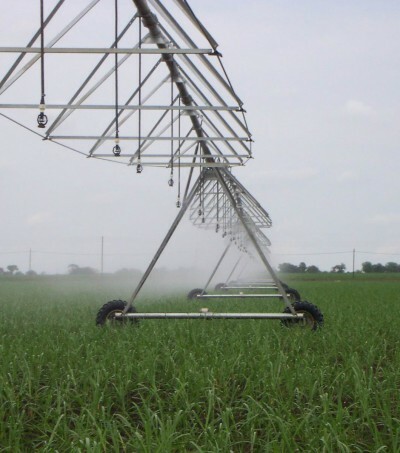 Booker Tate has always been closely involved with irrigation because of its impact on sugarcane production. Booker Tate’s experience and capability extends from the initial analysis, design and specification of different irrigation systems, to the on-going operation and maintenance of irrigation networks. This covers both in-field irrigation and the bulk water conveyance infrastructure that is required to bring water from source to field. 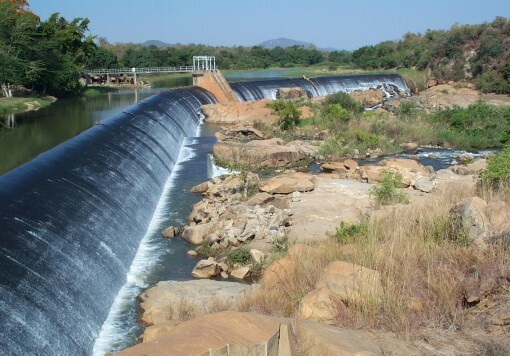 Examples of irrigated sugar schemes implemented by Booker Tate include Nakambala in Zambia which is predominantly furrow irrigation with laser levelled fields to optimise water use efficiency; Finchaa in Ethiopia which utilises a dragline sprinkler system and designed to maximise gravity rather than pumped pressure; Simunye in Swaziland which has a combination of systems including furrow, sprinkler, centre pivot and drip; and, Maple in Peru which has a subsurface drip system to maximise water availability. The total area covered by these schemes is some 40 000 ha. 1 000 ha of cane to be developed.